Signs by Crannie uses only the best construction materials including digital displays from Watchfire and 3M Graphics & Signage products. Unlike low-cost sign manufacturers we use thicker aluminum panels to give long-life and structural integrity. With 50,000 sq. ft. of open floor fabrication area and loading docks with tall overhead loading dock doors our shop is ideal for custom projects of any size. We can set up for many small signs, then quickly rearrange the floor for a larger job. 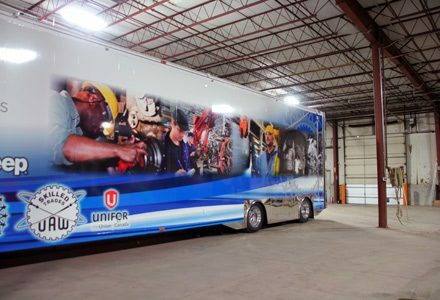 Our 24′ x 50′ OSHA inspected paint booth with make up air and 14′ overhead doors accommodates even the largest sign. We use only the highest quality paint products like GripGard and GripFlex. As a member of Word Sign Associates Signs by Crannie is trusted by dozens of sign companies across the country to manufacture and install signs from their designs. To remain on the cutting-edge of sign design, manufacturing, installation and maintenance, WSA members undergo continuous education and are among the first to adopt progressive technologies. 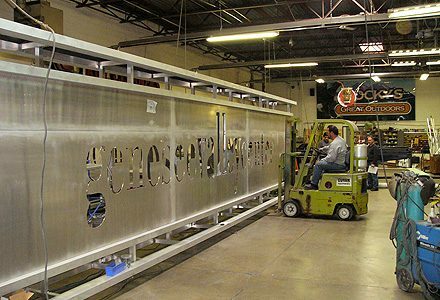 The combined efforts of nearly 200 WSA sign manufacturers and suppliers throughout North America raise the quality of products and services industry-wide by setting standards others follow. By working with a WSA member, you’re assured of durable, attractive signs that get noticed. All members possess years of experience and some family-owned WSA companies span multiple generations. 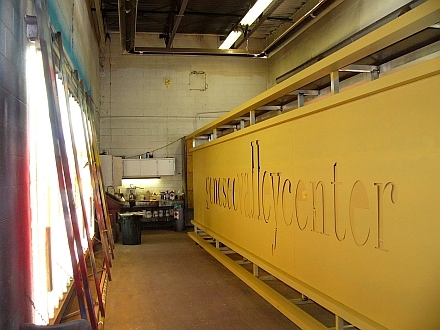 Members consist of both sign manufacturers and industry suppliers. Our strong partnerships bring you signs that last.